Two ex-farmhands turn their attention to music and produce something golden. Alfred Hall is quite a remarkable story due to the manner in which the duo of Bjørn Tveit and Hans Thomas Kiær got together, but also for having no historical lineage in terms of musicianship or being connected to any particular scene. Such revelations during a discussion on the fringes of the heart of Oslo come as a surprise considering the band’s brief gestation period writing and recording the songs that make up debut album ‘Wilderness’. So where exactly did this fascinating journey to date begin for the boys from the wilderness? A wise choice indeed as this upgrade resulted in the shimmering dream pop of ‘Wilderness’ that brings to mind the likes of more recent artists Empire of the Sun and MGMT, as well as the hushed tones and sparseness of 80s bands The Blue Nile and It’s Immaterial, with elements of the Pet Shop Boys subtler moments thrown in for good measure. 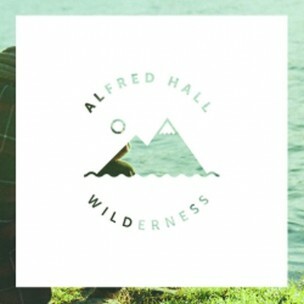 Alfred Hall certainly understand the dynamics of crafting a catchy pop song as their album has its fair share of them with current FLW favourite ‘Safe & Sound’ leading the stakes with its infectious rhythm and accompanying whistle that simply baits the ears of the listener to return time and time again. 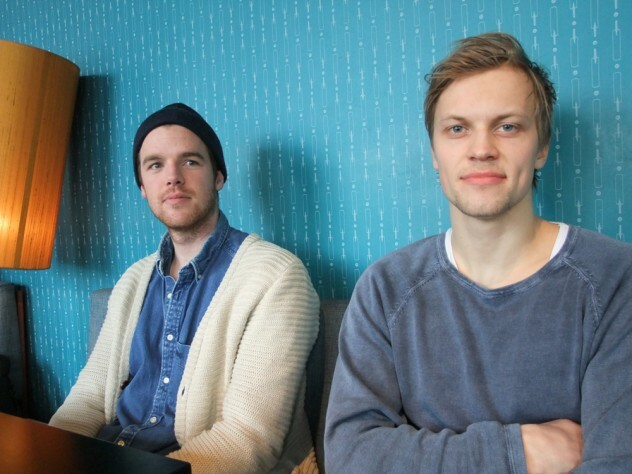 However, despite such infectious melodies flowing throughout ‘Wilderness’, the actual writing and recording process was not as effortless as sometimes perceived, due to the band’s quick ascension in grabbing the nation’s attention, as certain pressures began to weigh heavy on the boys from Drammen. With such tight time constraints, were you happy with the end result in terms of your debut album? “We’re pretty much happy,” is the immediate response, “but of course if we’d had five more months maybe we could have made a couple more songs and taken the ones [out] we don’t like as much. When you have a time pressure, some of the songs can sound a bit the same,” finishes Bjørn. “But if you have too much time then you can overdo things as well,” replies Hans. 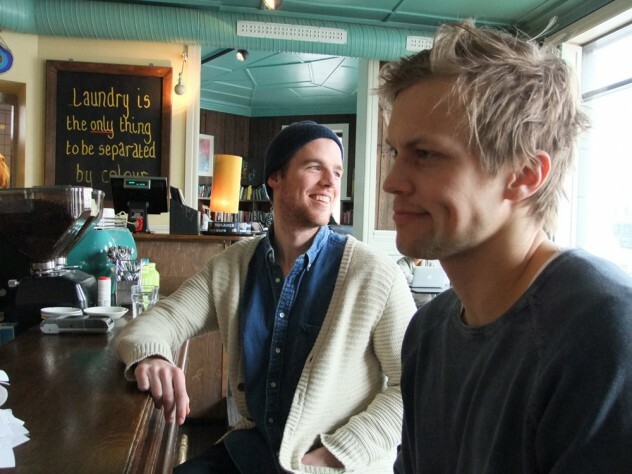 “Yeah, but we definitely could’ve done with some more choices for it though, as almost all the songs we’ve ever written are on the CD,” says Bjørn to his fellow cohort. 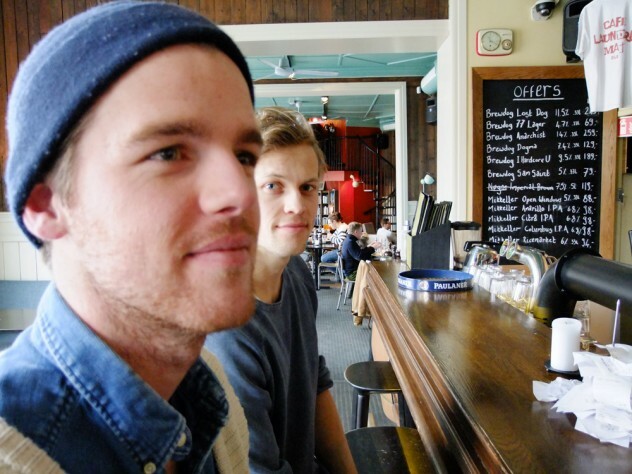 With the knowing pressure the duo were under to formulate the songs spanning the length of ‘Wilderness’, the story to date regarding the band’s current status is remarkable also because both members had the added duress of university studies to contend with as well. Therefore, it remains to be seen how the recordings Alfred Hall summoned up to become the album it is today considering the added pressure of this dual workload. Don’t be fooled by the slightly modest response concerning ‘No Need To Go’ with its slightly brooding qualities and irresistible opening beat before climaxing in a gently lifting chorus that simply crawls under the skin. There is no getting away from it, Alfred Hall have created a solid and sweetly addictive body of work that reveals small subtleties of sound that tug at the senses long after the sun has gone down. Whether the duo can maintain and develop on the quality shown remains to be seen because at present Alfred Hall is functioning between two roles of part time and full time as summed up by Hans. “It is full time and part time!” he says jokingly. Despite wise words stemming from the mouth of Alfred Hall, FLW adopts a selfish attitude here by shouting “Bin the studies!” due to wanting more of these wonderfully addictive ditties flowing through our musical-loving veins! Such hopes may materialise, however, as the pair plan to take a trip stateside to perform at this year’s Musexpo. So, this time next year you could both be living the dream in LA? “Yeah, surfing, and not just writing about surfing!” retorts Bjørn in reference to Alfred Hall’s ‘surfs up’ number, ‘Foreign Coast’. Bearing this in mind, the changes currently underway in the lives of Alfred Hall must be taking on a dreamlike quality not too dissimilar from their music and something their student peers have surely noted, especially if your appearing on the likes of NRK’s Lindmo? “The average age group for Lindmo is probably from 40 to 70 years old, so nobody at my university knew that I had been on TV!” laughs Bjørn. FLW predicts that any comments regarding the qualities of ‘Wilderness’ have been more than complimentary from Alfred Hall’s academic peers? Yeah, and that’s cool! They like it, so they tell me. They wouldn’t tell me if they didn’t like it!” concludes Bjørn laughing nervously. ‘Wilderness’ is out now on Sony Music Norway and a review of this album can be found in the Reviews section of Famous Last Words. Maybe our use of keyboards is kind of Pet Shop Boys, but I don't really know any Pet Shop Boys' songs apart from 'Go West', and I love that song!" A few choice details about the life and times of Alfred Hall in relation to the band’s first album, ‘Wilderness’ nicely explained by Bjørn Tveit. That Sinking Feeling… Damn Fine Coffee!